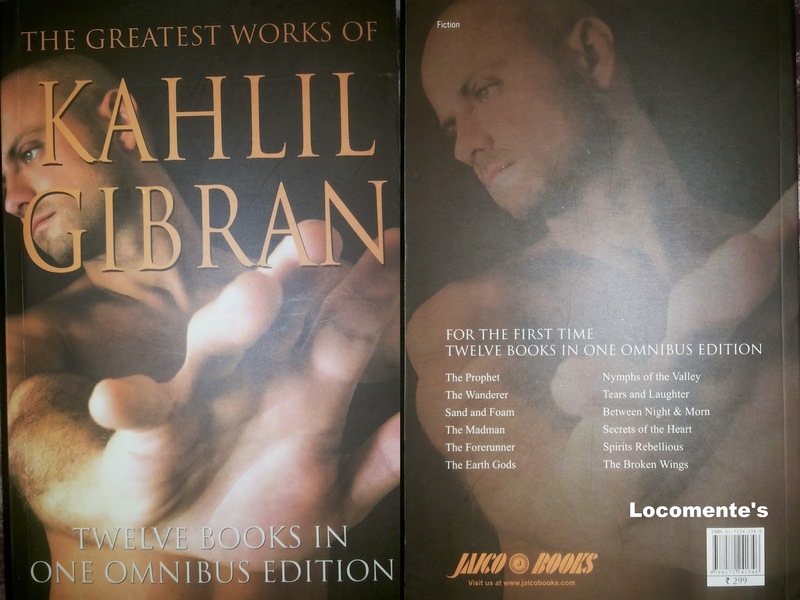 The book is a compilation of the greatest works of Kahlil Gibran. There are twelve stories in the omnibus and each one is unique and different. The cover page is simple. The book blurb has nothing but the names of twelve stories. The font used in the book is big and very good. I appreciate the publishers who use such eyes-friendly fonts. It becomes imperative when the book is as huge as this one! I also liked the fact that the books is reasonably priced at Rs.299/- making it very buyable. Well, having said all this, I am not going to review the book. Kahlil Gibran is one of the most acclaimed and celebrated writers. The quotes are awe-inspiring and thought provoking. Each story renders a flavor of its own and stands our distinctively. Reading the works of such writers also makes us feel the magic of words and its majestic power. Another beauty of Kahlil Gibran’s works is that you can read and reread; each time it forces you to think differently. Yet another distinguishing factor is his writing style itself. It is poetic in nature; making it sound like a sweet song! Out of the twelve stories, The Prophet, which is also the first story in the Omnibus, is my favorite. It is philosophical and beautiful. The book is really huge. Therefore, it is tough to carry. I wish it was, instead, released as two volumes. What else can be the reason! I heartily thank Jaico Puiblishing House for giving away the book for review. I also them for taking efforts to print the works of such renowned authors and make the same accessible to young readers! Yeah.. I hope that you enjoy them as well!